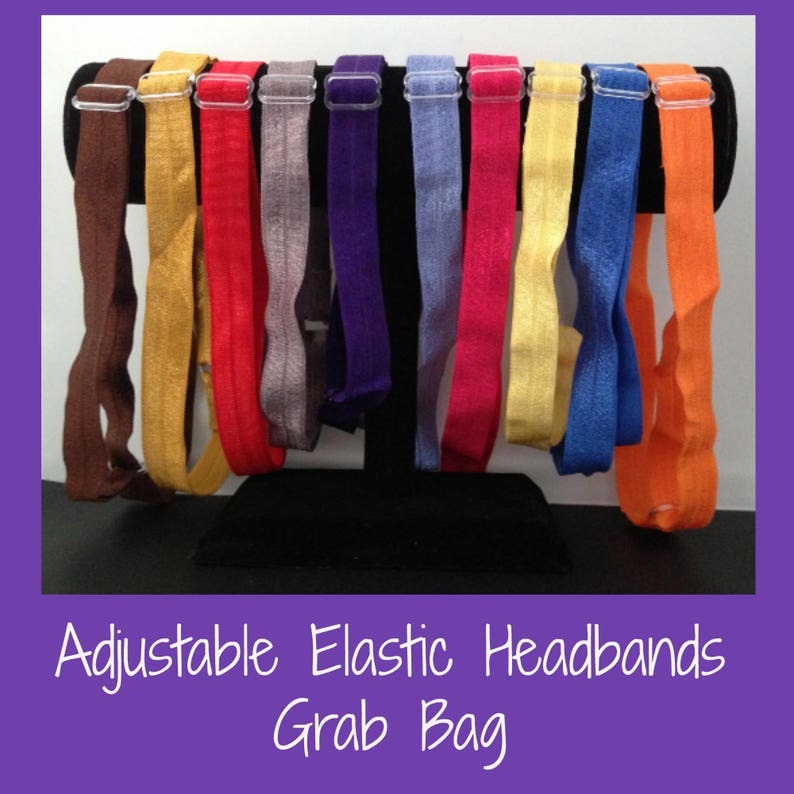 These grab bags will feature fashionable handmade adjustable elastic headbands in sets of 3, 6, or 12. They fit on heads of approximately 11 to 21 inches. They are small enough for children and large enough for teens and adults. 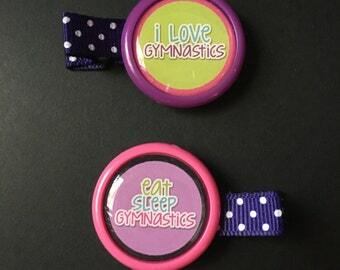 These adjustable headbands are made of 5/8 inch fold-over elastic and plastic slides. These headbands are not intended for use by children under the age of 3. The colors in the listing image are just examples of possible colors that could be in the grab bags. If you would like to pick colors, please visit www.etsy.com/listing/165498926/adjustable-elastic-headbands-sets-of-3.